My son thinks it is funny how the Democrat Party has recast a Taxachusetts ultraliberal war protester as a mainstream presidential candidate. Are your neighbors Elephants or Donkeys? Totally fascinating. You’ll be surprised at the well known people who show up on this list. Of the 200-something households on my own neighborhood, only one person shows up, and she gave to the wrong side. Posted on July 21, 2004 July 6, 2011 Categories PoliticsTags postLeave a comment on Are your neighbors Elephants or Donkeys? All the trash trees save one are now gone from my property. 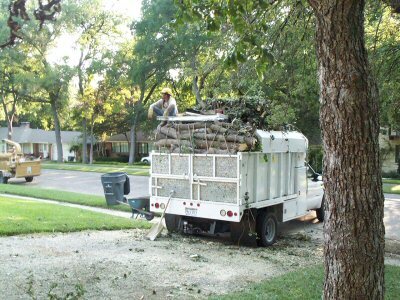 Below are links to panoramic shots of my trashy back yard, one before and one after the tree removal. If you look carefully, you may be able to see the remaining tree. It is directly under the TXU power line, so I have to call TXU out to remove it. Our next task is to sod that yard! 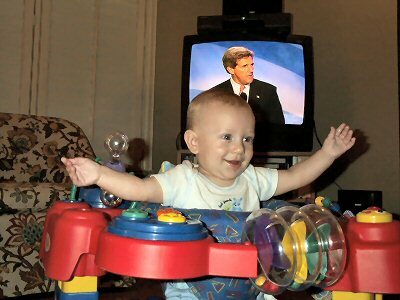 Some coworkers and I had a lively discussion about the Gubernator‘s “girlie man” comment. An awfully literal interpretation is “a man who is like a little girl,” a supposed backhanded insult to girls and gays. “Girlie man” comes from a goofy Saturday Night Live skit featuring steroidal “Hans und Frans.” Anyone who wasn’t equally “pumped up” got labeled a “girlie man.” It was a goofball, witty skit. By making an issue of such a lighthearted double-entendre, which by the way was given at an informal, almost spur of the moment shopping mall pep rally, California Democrats are distracting voters from the real problem: special interests. That’s not a partisan issue. Normally you would expect lower limits as you approach major areas of a city. Thanks to environmental speed limits, the speed limit on the outlying stretch of TX 121 is arbitrarily restrained at 60 MPH. 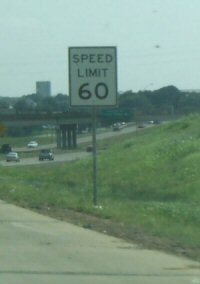 In the Dallas/Fort Worth area, all roadways with a 70 and 65 MPH speed limit before Sept. 1, 2001 were remarked with 65 and 60 MPH speed limits, respectively. This was a ballyhooed part of a massive smog reduction plan. Anyway, the 2001 speed limit reductions were carefully defined road by road. (Map of actual roadway segments with reduced limits.) 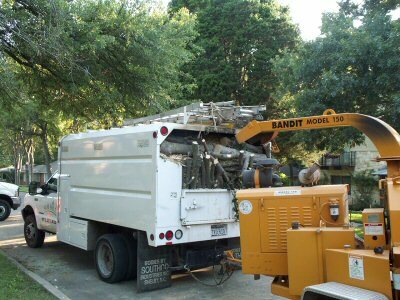 In 2003, the Texas Legislature prospectively banned environmental speed limit reductions. This means that current reductions can stay, but no future reductions may happen. Now the DFW area is left with a weird patchwork of speed limit reductions. Some highways have reduced speed limits and some don’t. But first a little background. 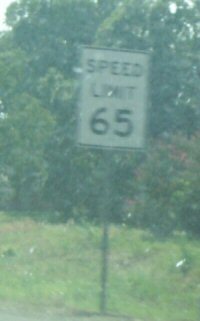 While it is not published anywhere, TxDOT’s de facto standard in major urban areas is to use 70 MPH speed limits until you reach the outer loop (e.g., Sam Houston Tollway), 65 MPH limits between the outer loop and the inner loop (e.g., I-610), 60 MPH limits between downtown and the inner loop, and sometimes 55 or 50 MPH limits on certain downtown freeways with many exits (e.g., I-30 near downtown Dallas). This is an arbitrary practice that seems to be in place mainly due to communal reinforcement and “monkey see monkey do.” In all my driving experience in Texas the only exception to this rule I have ever experienced is the 65 MPH limit that used to be on US-59 southwest of Houston between the Buffalo Speedway and Beltway 8. With environmental speed limits the new arbitrary standard is that once you cross a county line nearest to about 50 miles from downtown, the speed limit goes from 70 to 65, and then to 60 once you cross the outer loop. Speed limits then stagnated at 60 for miles and miles until they dropped once again near downtown. Now in Ft. Worth there is a major exception to the rule. By the PDF map you can see that Texas 121 between I-35W and I-820 in Ft. Worth was not subject to the environmental speed limit reduction. 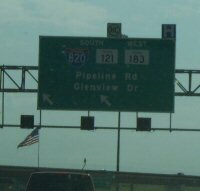 This is because its speed limit on Sept. 1, 2001 was 60 MPH or lower. Since then the TxDOT has apparently re-speed zoned that roadway and found that a 65 MPH limit is more appropriate, so this entire segment now has a 65 MPH speed limit. TxDOT’s Dallas District is in the process of reviewing all Dallas-area roadways. Since no inner-loop speed limit is subject to speed limit reductions, it is very possible that the Dallas area could experience a patchwork of highly inconsistent speed limit policy where some freeways get higher limits the closer you get to downtown Dallas. I don’t agree with the arbitrarily low speed limits that end up posted on most highways, but I also don’t agree with inconsistent speed limit policy. One standard should be followed on all roadways, and it should not be hamstrung by the political will of the day. Eliminate all environmental speed limit reductions. They don’t work, and continuing to use them only means that the DFW area’s regional emissions reduction scheme relies on a paper trick that won’t reduce smog. Eliminate all legislatively-imposed speed limit caps. Speed limits should always be set by commonly accepted engineering methods. There is no reason for the legislature to arbitrarily declare that these methods are broke if they recommend limits higher than some number picked out of a hat. Tighten up on leeway in speed zoning standards. Current TxDOT speed zoning standards allow huge engineer discretion to lower the posted limit below what a speed survey recommends. In theory this leeway is only supposed to be used to correct speed limits in the face of unusual safety problems, but in practice it is used virtually everywhere to justify needlessly low limits.